Aug. 20, 2018 - Canadian Forest Industries brings you the latest in advancements in game-changing sawmill software. The DGS Suite of products includes DGS Collector, DGS Manager, DGS TV, and DGS Mobile. DGS Collector allows you to gather data automatically from PLCs and optimizers into a central SQL Server database. With DGS Manager, you can create, view, email and print detailed and summarized reports based on the collected data. DGS TV takes this one step further and allows you to view up-to-the-minute data, as well as pictures, video and even RSS ticker feeds on TVs around your site. DGS Mobile App (iOS, Android) is our newest product slated for release with DGS Manager 3 in Q3 2018. PMP Solutions believes that mills can significantly increase their profitability by gaining a better understanding of what is happening on the factory floor. Real-time access to production performance data helps to meet budgets and keep customer commitments. By connecting machines, processes and people together, PMP Solutions customers are able to react right away to process deviations and avoid productivity and quality losses. 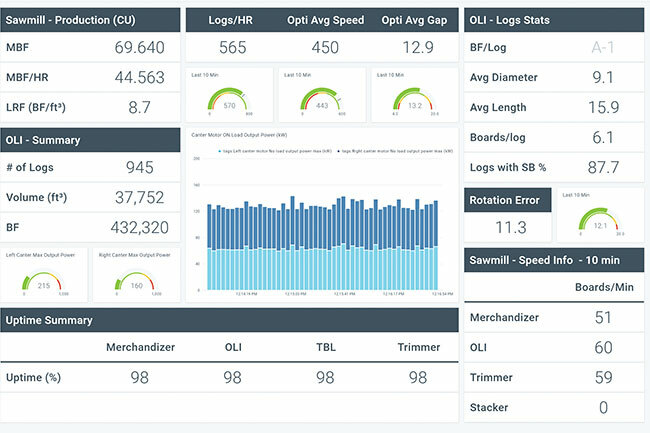 PMP Solutions 4.0 software allows a sawmill to boost its performances: real-time performances monitoring, sales forecast built with artificial intelligence, drying improvement solutions, GPS inventory management and more. SCS Forest Products by Finna Group, who provides the industry’s widest-used end-to-end line of integrated moisture measurement systems, has recently completed some exciting upgrades. For their Sawmill (MCPro1500) and Transverse (MCPro2400) systems, all-new High Definition (HD) measurement provides a more thorough profile of boards to allow users better detection of wet pockets for advanced sorting in the sawmill and trimming in the planer. 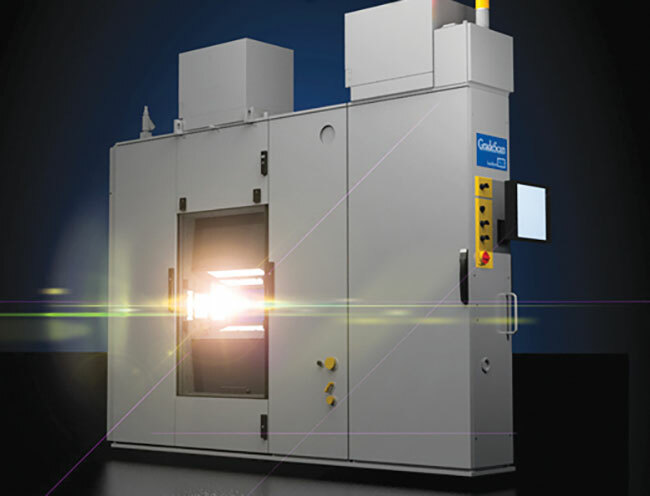 Benefits include improved kiln efficiency and throughput and improved grade recovery. TradeTec Computer Systems of Parksville, B.C., a leading software solutions provider to the forest products industry since 1986, is most widely known for TallyWorks and TallyWeb for logs and lumber inventory tracking that connects mills and warehouses with real-data in real-time. TradeTec maintains the largest dedicated development and implementation team in the industry; and was the first to develop a computerized maintenance management solution (CMMS), which is called Visual Maintenance Man (VMM). 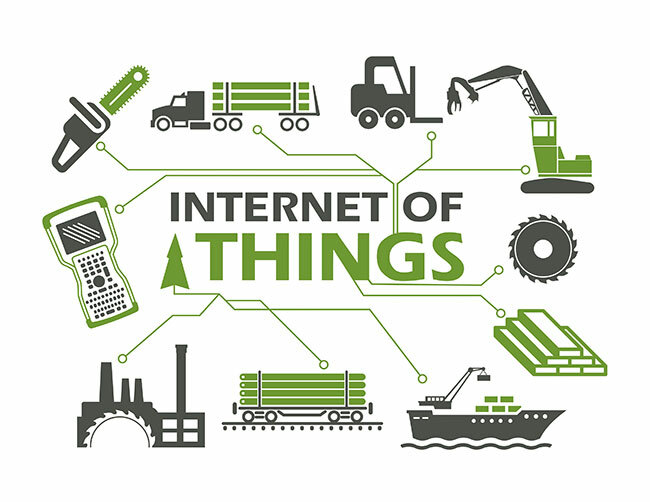 VMM facilitates all critical maintenance functions and can leverage the Internet-of-Things (IoT) to drive predictive maintenance. Since 1990 SiCam Systems has been a trusted name for mill-wide quality control solutions to the wood products industry. SiCam is the only company in the industry that is dedicated to providing purpose built, innovative technology to solve challenging quality control applications. From LSIZE handheld caliper systems to RealTime inline inspection systems, SiCam can measure logs, cants or boards to ensure that a mill is maximizing recovery and detecting quality issues before or when they occur. 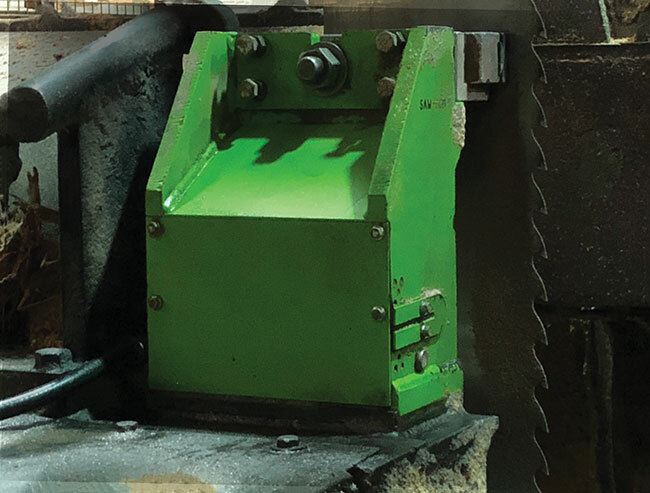 SiCam’s systems can cut closer too or reduce target size in the sawmill or planer. Microtec’s Computed Tomography scanner is the only computed tomography scanner for logs in the world. 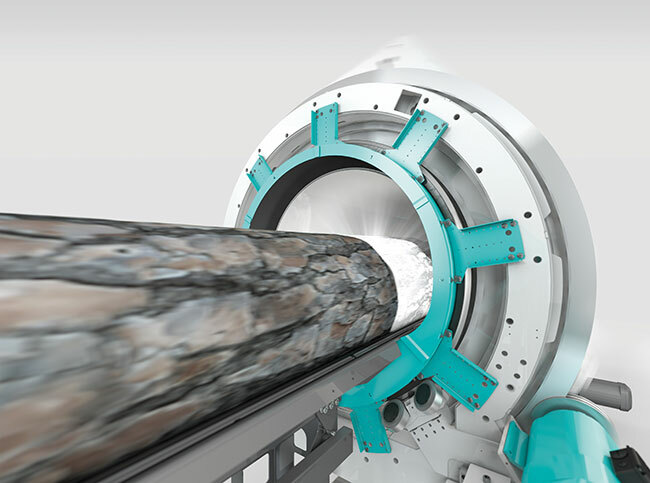 As the logs run through the scanner, the X-ray source turns 360 degrees around the log, allowing for a full 3D reconstruction of its internal features. This information can be used for bucking optimization. Detected defects include: pith, knots (both sound and dead), splits, resin pockets, blue stain, and more. The optimization virtually simulates all possible cutting patterns and finds the one cutting solution that maximizes the value of lumber products. This means up to eight per cent value increase per log, and the certainty to cut the highest possible value out of every log by knowing the value of the final products beforehand. 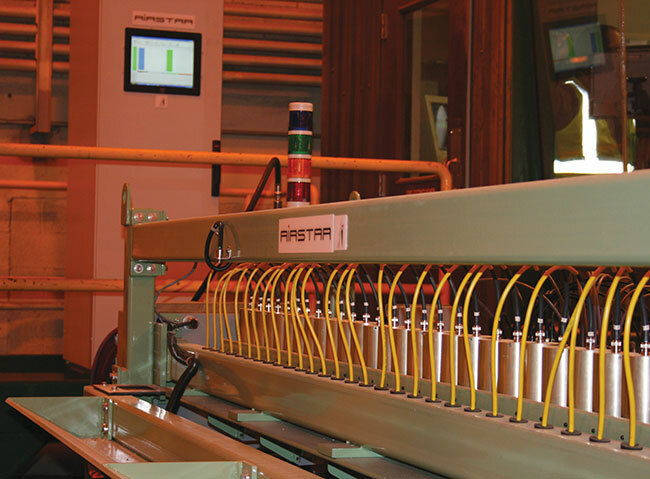 Airstar Inc. manufactures quality control systems for the forestry product industry. The system can test all forestry engineered wood products including plywood, LVL, OSB, glulam, lamination, hardwood flooring, MDF and crack detection in solid wood. Airstar’s signal-to-noise ratio of the non-contact system is unmatched in the industry. The Airstar Blow Detectors penetrate products of up to 250 mm (10 inches) thickness and could be configured for full panel testing with up to 32 channels on 48-inch width. A thickness gage system is also available using high resolution laser sensors. HALCO’s WSO Production Planning Optimization System determines a mill’s optimal production mix, and the optimizer parameters required to produce that mix. WSO combines SAWSIM with linear programming optimization, in a proprietary iterative technique. WSO is typically run weekly to determine the production mix that maximizes profit, considering: logs to be processed, market prices, sales mix constraints; committed orders; inventories, and mill flow; bottlenecking machines. In addition to weekly production optimization, WSO may be used for strategic analysis and budget planning. WSO can optimize production for a single mill, or in a multiple-mill company production may be optimally allocated between mills. MillTech Lumber Inventory Sales and Production System combines the power of the most current Microsoft development and database environment with the knowledge of the lumber industry’s most experienced development and implementation team to deliver the wood product industry’s definitive inventory/sales system. MillTech’s system is easy to learn and increases productivity; it gives immediate access to otherwise hard to get at data that allows for better company management; and is very flexible which means it can be quickly and inexpensively configured to meet the specific needs of different types of wood products companies. Precision Machinery unveiled their new line of fully automated filing equipment at the annual BC Saw Filers convention. The Kaiser line of equipment is German-made in Canada. At present the line represents two machines: a full CNC saw guide dresser and a production knife grinder. The Kaiser Knife Grinder represents a leap forward in automation for the filing room. Up to 500 disposable canter knives are loaded into the machine by an operator. The machine then runs, without operator intervention, for up to 16 hours producing sharpened knives that are measured and sorted. SawADD now has a successful installation at Hyne Timber in Australia. Hyne has realized as much as a 12 per cent increase through a USNR Quad, sawing Radiata Pine. There was an overall increase in average feed speed of about eight per cent after the SawADD installation. The data consists of hundreds of logs at each increment of depth of cut. Their recovery has never been better and their reman lower than it has ever been. They were never able to run at that speed increase before, without blowing up a saw within a few hours (in their own words). They are now able to run complete shifts without changing saws. Perceptive Sight Intelligent Grading uses deep learning AI and is only available from Lucidyne. 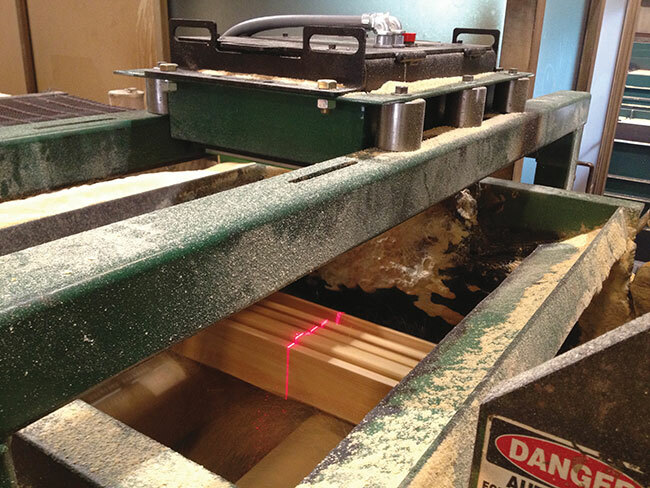 This quantum leap in automated scanning and optimization is breaking records for on-grade lumber production. Introduced in early 2017 almost two dozen of these systems have been installed or are scheduled. Powerful results are fueling new sales and upgrade requests in record numbers. Lucidyne’s team of certified graders continuously update the defect libraries and this AI-based system learns these defects eliminating the lengthy process of new programming required by other systems. 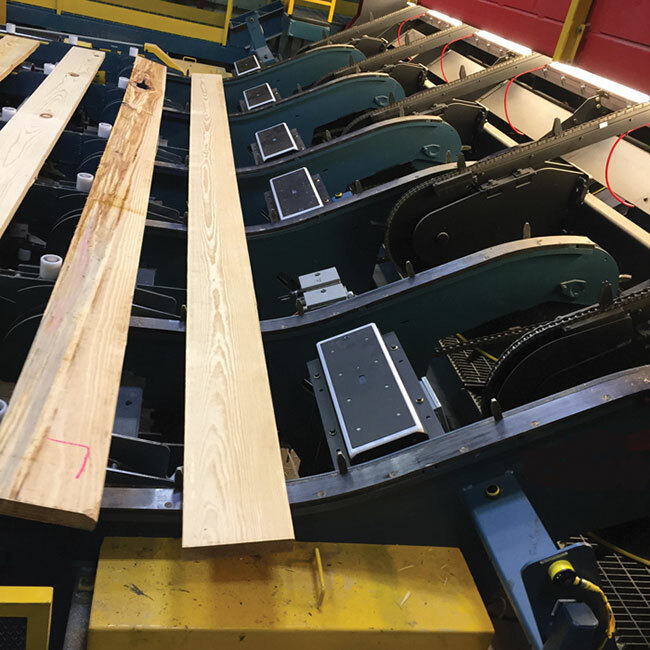 Lucidyne continues to raise the bar for innovative mill solutions that maximize recovery, and deliver consistently high-quality, on-grade, best-value lumber. At the forefront of the forest products digital revolution is Oper8. This is a joint venture between BID Group, one of the largest integrated suppliers, and Cumul8, experts in collecting disparate data and then creating tools to bring live yet deep value from that data. Cumul8 lets you imagine a solution to a problem and then prove that out with the data. The software combines any source of data into a single, powerful database. Oper8 is an industry-specific digital platform combining the big data analytic, visual, and predictive AI capabilities with specific and deeply intuitive performance models created by experts.